Rich and Beaker begin working on a musical loosely based on the life of St. Francis of Assisi entitled Canticle of the Plains. Rich Mullins meets Mitch McVicker at Friends University in Wichita. Rich: "Mitch and I met at Friends University. We were in one of James Smith's classes together, and we were in a discussion group. Mitch was just this basketball player who happened to be in this religion class I was in. I thought he was very cool, but I had no idea he had any musical ability at all. One day, I was in this [other] guy's room; there were a bunch of us sitting around. Mitch came in and someone said, 'Hey, play a song,' and I was blown away that this guy played guitar. And, not only did he play guitar, but he has a great voice - which I don't have, so I could use a good voice on my show. He's a really young writer, but he's a good writer. He has some very good thoughts. So, when we graduated, we decided that it was time to take our first novitiate into our order. So, that's Mitch. I think he needs to wear a T-shirt that says, 'I Am Not Beaker,' because everybody goes, 'Oh, you must be Beaker.' "
Rich: "...the biggest problem (with Canticle of the Plains) was that we had no idea what St. Frank would be like. And then I was at Friends University, and I was finishing up a music education degree, and I met a guy named Mitch McVicker. And I went back to where me and Beaker lived, and I said, 'Man, I've just met Frank. I've met this guy who looks like him, talks like him, the whole bit.' And now Mitch is in the Kid Brothers of St. Frank." 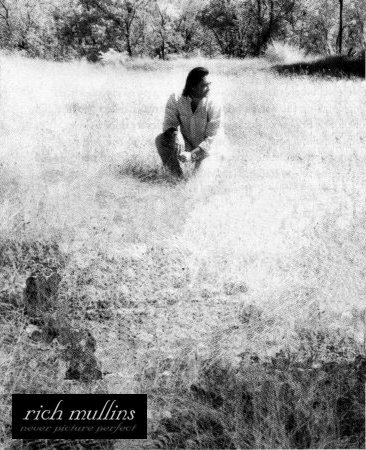 Release Magazine publishes an article by Rich Mullins. CCM Magazine publishes an article about being single, featuring Rich Mullins and other artists. Rich, Kathy Troccoli, Mark Lowry and Max Lucado join Sandi Patty on her annual Fellowship Cruise. Mark Lowry: "My most memorable time with Rich was on a Sandi Patty cruise. Sandi had invited Kathy Troccoli, Rich Mullins, Max Lucado and me. I talked Rich and two of our friends into going scooter riding when we got to St. Maartens. When we arrived, the four of us grabbed a taxi and I told the driver to take us to a scooter-rental company. We talked all the way and nobody paid attention as to how we got to this particular scooter company. We jumped out of the cab, threw down a credit card and took off on the scooters. We only had a few hours in St. Maartens so we had to do all of this quickly. When it came time to return the scooters and head back to the ship, we couldn't find the scooter company! We looked at the map we'd been given. It made no sense. We circled the island several times. We stopped and asked directions from people who couldn't help us. We were totally, absolutely, hopelessly lost. We should have just gone back to the ship, given the keys to someone and asked them to return the scooters for us. Or, called the owner and told him where we'd left them. It would have been cheaper than what happened. We missed the ship...which was at sea the next day headed for Nassau. We had to spend the night in St. Maartens, fly to San Juan and spend the night, then fly to Miami to catch another flight to Nassau to meet the ship. None of us had a change of clothing...we didn't expect to miss the ship in the first place. Nobody had their passports...they were back on the ship with our clothes. No toothbrush. No shampoo. No clean underwear. Nothing but the clothes on our backs. I had to smooth-talk our way in and out of customs...leaving San Juan, entering the U.S., leaving the U.S., and entering The Bahamas. How did I do? Fine, thank you. I got us all to the ship. I was embarassed, though. I am rarely late to anything, much less miss it all together. Sandi forgave us." "I'll Carry On" debuts on the AC Charts. It would spend 7 weeks on the chart and peak at #33. 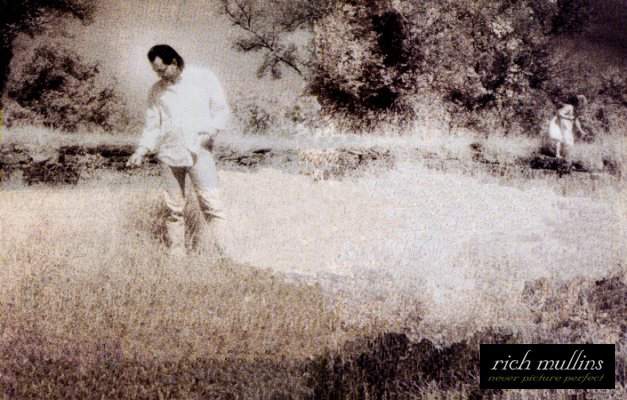 Rich Mullins performs in Wichita, KS. at Friends University. 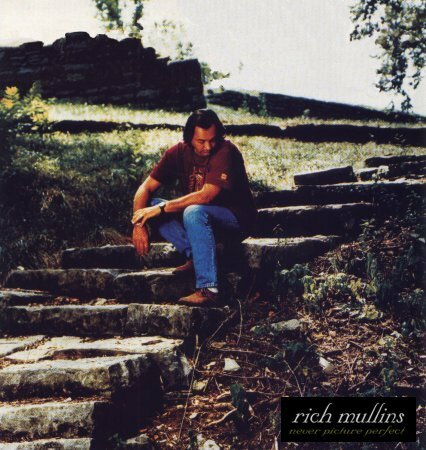 Rich Mullins performs in Wichita, KS. at Wichita Boathouse. Rick Elias did not make the show because he was playing guitar for Randy Stonehill, who had broken his arm falling off the stage at the Dove Awards. 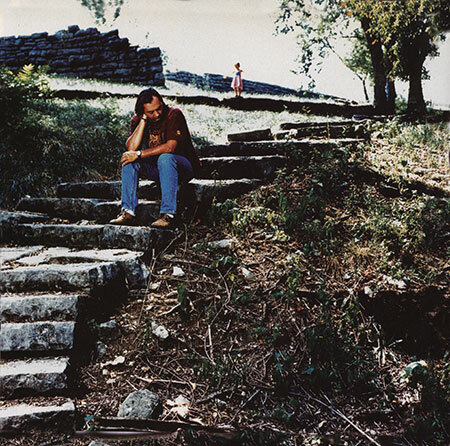 Rich Mullins performs in Wichita, KS. at Century II Concert Hall. The concert is dubbed the "Farewell to Wichita" as Rich will be moving soon after graduation on May 14th. A Special "Farewell to Wichita" edition of Rich's next album, Brother's Keeper is avalable for sale at the show. Rich Mullins graduates from Friends University with a B.A. in Music Education. Michelle Fink (Reunion): "I remember when Rich had gone back to Friends University to finish his degree. I called him one afternoon and he was a frantic mess - really stressed about a final test in a band class that he had to do well on to pass. He was so nervous about it. It was so ironic. He'd played in front of thousands of people, had already put out six or seven records, and was skilled on numerous instruments, and here he was having to be judged by this institution. But it was important to him because he needed the degree so he could teach music on the reservation.Of course, he passed and got his degree so he could teach. It was so Rich. It was never about him or for him, but so he could reach out, teach, and minister to others." Soon after graduating, Rich moves to a Navajo Indian Reservation in Tse Bonito, New Mexico to teach music to children at Hilltop Christian School. There was some talk at the time about the possibility of a Ragamuffin Band album without Rich - since he would be busy with his new profession in New Mexico. "Let Mercy Lead" debuts on the AC Charts. It would spend 14 weeks on the chart and peak at #1 on August 7. 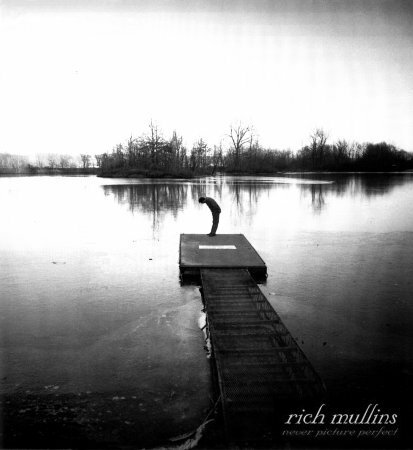 Rich Mullins performs in South Lexingon, MA. at Grace Chapel with Brennan Manning. Rich Mullins performs in South Portland, ME. at South Portland Church of the Nazarene with Brennan Manning. Rich Mullins performs in Manchester, CT. at South United Methodist with Brennan Manning. Rich Mullins performs in Massachussetts with Brennan Manning. At one point, during "While the Nations Rage," Rich was banging on his keyboard so hard that the keyboard stand gave out and his keyboard went crashing to the floor. 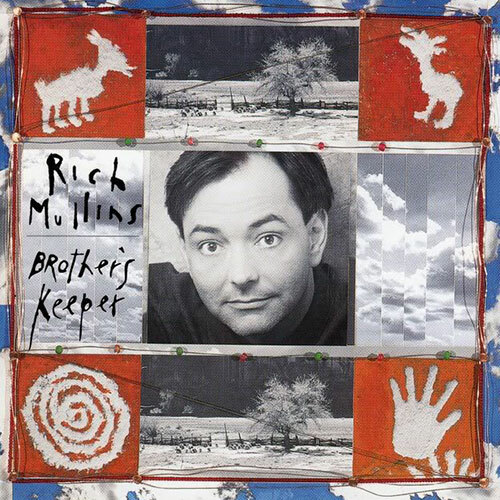 Rich Mullins eighth album Brother's Keeper is released on Reunion Records. Early working album titles included: Songs, Too Many Chiefs and Not Enough Native Americans, and Quoting Deuteronomy To The Devil. The song "We Are Not As Strong As We Think We Are" was written for this album, but not recorded until a year later. Rich: "We took a different approach in this album and it was great - and scary. The album is very - well - raw. We didn't worry as much about being eloquent or poetic as getting real things said in real ways. I have alot of good memories about the writing of this project... Most of it was written on Beaker's porch or in my teepee or Les and Kay Arvin's farm outside Wichita. It's family oriented; 2 of the band members became fathers during the writing and 2 of the songs are about those children. Three of the band members wives' sang on the project and all of that together made for a different and somehow more grounded feeling to "Brother's Keeper." I'm looking forward to touring the project this fall." Rich, on "Brothers Keeper": "I used to live with James Brian Smith and his wife Megan and their little boy Jacob, and he's a writer and one of the things he writes about - he just finished a book called Embracing the Love of God. And one of the things that he wrote about, and so we talked about a lot as I was living there, was the whole idea of loving each other, and how do you do that, and where does that all come from? And Beaker came over one evening and we were sitting out on the porch, and he went, 'OK, I've got this little thing going' and he showed me this little guitar thing, and it just sounded like this song. I mean, it sounded like this lyric. And we wrote it fairly quickly there on Jim's porch. Rich, on "Let Mercy Lead" "Beaker wanted to write a song for (his new son Aidan), and we worked and worked and worked. And you know, we write songs all the time, but it was so amazing and so wonderful to see how careful he was about everything he wanted to say to Aidan in this song. I mean, really, it was intense, kind of. And we wrote and threw away so many songs that I thought were pretty good. But they weren't good enough for his kid. And we finally finished it up. I had a teepee that a friend of mine gave me, and we went out in the teepee to spend a day. I think when you're writing, sometimes there's a great advantage in taking yourself and putting yourself in a whole different environment, some kind of seclusion. Something quiet. So we were out there in the teepee and that's when we actually finished the song. I'm not sure exactly the things that came together to make this one click and make Beaker go, "Yeah, that's the song that I want for my son. That's what I want him to grow up with." Rich, on "Hatching of the Heart": "The motivation was just that I had this real dreamy piano riff... I stole the title from Thomas Merton. It's like this book I'm reading now, Soul Making by Alan Jones. One of the things I've become interested in is, what is the soul: does it grow, does it pre-exist us? The Bible doesn't realy talk a whole lot about it. It's the whole 'born again' thing. My own experience is there in the song." "Damascus Road: This track was written in the late 70s/early 80s. Rich, on "Eli's Song": "Eli is Rick & Nicky Lundgren's little girl. She was born about a month after Aidan was. I had this little hammered dulcimer melody that I really liked, it was kind of a kid-y kind of melody. Maybe I should write a children's album. I didn't want to go to all the bother to do that, so I thought about Eli, and I went, this would be a nice thing for her. I talked to Lee and Nicky, and we decided to write a song for her, and use the little melody." Rich, on "The Breaks: "Well, I wrote that one in Ireland. And I wrote it as a love song. And I think even at the time I suspected that...there are times when you think it would be fun to be in love, and you realize, ahh, this is something I can't really do, and so even while you're enjoying that brief, frail illusion, you go, 'This is not what it is. This is not what it's supposed to be. So I have to go beyond this, go past it. I have to leave this.' And so I think for me it's kind of a combination of whimsy and longing involved in this. It's kind of like, ooh, ow, this really hurts, but...so what?" Rich, on "Quoting Deuteronomy to the Devil": "Well, I thought it was a funny song. I think it was one of the funnier ones on the record. But I think one of the things - I think there's a book by Fulton Sheen called The Life of Christ and he talks about the temptations of Christ in the wilderness, and how Satan didn't offer Christ anything God didn't want Christ to have. There's nothing wrong with food. There's nothing wrong with power. There's nothing wrong with glory. These are all things that were waiting for Christ. But what Satan offered him was a shortcut to those things. Satan said, "you can have these things without suffering. But let me show you how to do it, rather than doing it God's way." And one of the problems I think we have in the Christian church today, one of the problems I have in my own life anyway, is that we want to do godly things but we want to do them in a worldly way. We want to have God's will in our terms and you can't do that. 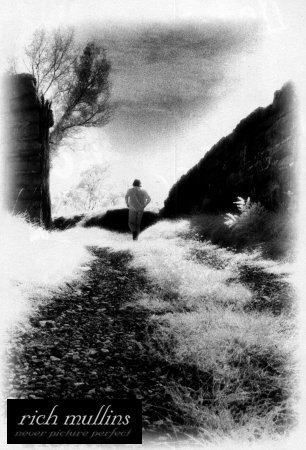 You either follow God...if you follow God, you go the path He leads. You don't say "Well, God, I'll meet you in Indianapolis." You follow Him all the way to Indianapolis. You go the way He goes, the route He goes." Rich had planned to publish a book around this time, which would have been a collection of Bible stories told through the eyes of Appalachian people. Rich films a promo video for the song "Brothers Keeper". Carolyn Arends releases I Can Hear You on Reunion Records. Rich Plays Hammer Dulcimer on "The Power of Love." "The Sound And The Worry"
"Let Mercy Lead" hits #1 on the AC Charts. Following its debut on June 19, it would spend 14 weeks on the AC Chart. 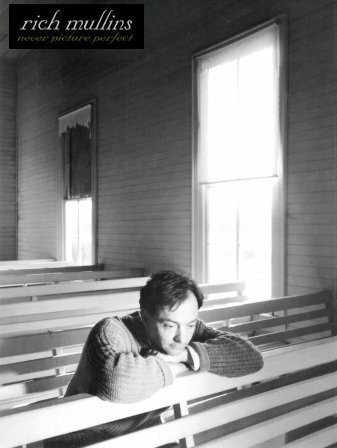 Release Magazine publishes an article about Rich Mullins. "Brother's Keeper" debuts on the AC Charts. It would spend 14 weeks on the chart and peak at #4. CCM Magazine reviews Rich's Brothers Keeper album. Rich Mullins participates in an online chat. Rich Mullins and the Ragamuffin Band perform in Greenville, SC with Ashley Cleveland and Carolyn Arends as part of the Brothers Keeper Tour. Rich Mullins and the Ragamuffin Band perform in Atlanta, GA with Ashley Cleveland and Carolyn Arends as part of the Brothers Keeper Tour. Rich Mullins and the Ragamuffin Band perform in Birmingham, AL with Ashley Cleveland and Carolyn Arends as part of the Brothers Keeper Tour. Rich Mullins and the Ragamuffin Band perform in Jackson, MS with Ashley Cleveland and Carolyn Arends as part of the Brothers Keeper Tour. Rich Mullins and the Ragamuffin Band perform in Lafeyette, LA with Ashley Cleveland and Carolyn Arends as part of the Brothers Keeper Tour. Rich Mullins and the Ragamuffin Band perform in Beaumont, TX with Ashley Cleveland and Carolyn Arends as part of the Brothers Keeper Tour. Rich Mullins and the Ragamuffin Band perform in San Antonio, TX with Ashley Cleveland and Carolyn Arends as part of the Brothers Keeper Tour. Rich Mullins and the Ragamuffin Band perform in Houston, TX with Ashley Cleveland and Carolyn Arends as part of the Brothers Keeper Tour. Rich Mullins and the Ragamuffin Band perform in Dallas, TX with Ashley Cleveland and Carolyn Arends as part of the Brothers Keeper Tour. During an in-store appearance in SC, Rich takes part in an online chat on AOL. Rich Mullins and the Ragamuffin Band perform in Dallas, TX with Ashley Cleveland and Carolyn Arends as part of the Brothers Keeper Tour. While in Dallas, someone broke into Ashley's van and stole all of her belongings - including her daughter's clothes and toys. Rich Mullins and the Ragamuffin Band perform in Oklahoma City, OK with Ashley Cleveland and Carolyn Arends as part of the Brothers Keeper Tour. Rich Mullins and the Ragamuffin Band perform in Albuquerque, NM with Ashley Cleveland and Carolyn Arends as part of the Brothers Keeper Tour. Rich Mullins and the Ragamuffin Band perform in Phoenix, AZ with Ashley Cleveland and Carolyn Arends as part of the Brothers Keeper Tour. Rich Mullins and the Ragamuffin Band perform in Las Vegas, NV with Ashley Cleveland and Carolyn Arends as part of the Brothers Keeper Tour. 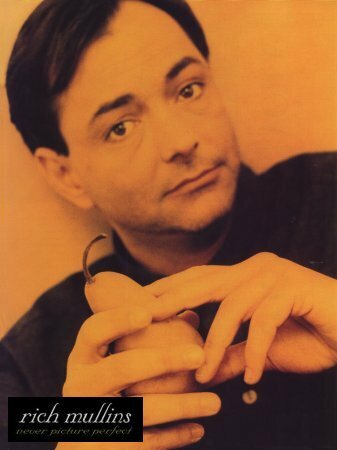 The Register-Guard in Eugene, OR publishes an article about Rich Mullins. 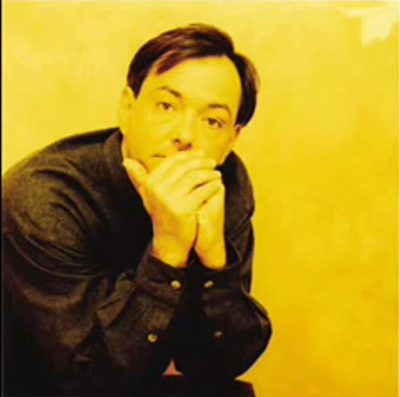 "Rich Mullins Stepping Out in Faith"
Rich Mullins and the Ragamuffin Band perform in Los Angeles, CA with Ashley Cleveland and Carolyn Arends as part of the Brothers Keeper Tour. Shout! Magazine reviews Rich's Brothers Keeper album. Rich Mullins and the Ragamuffin Band perform in Fresno, CA with Ashley Cleveland and Carolyn Arends as part of the Brothers Keeper Tour. Rich Mullins and the Ragamuffin Band perform in San Jose, CA with Ashley Cleveland and Carolyn Arends as part of the Brothers Keeper Tour. Rich Mullins and the Ragamuffin Band perform in Klamath Falls, OR with Ashley Cleveland and Carolyn Arends as part of the Brothers Keeper Tour. Rich Mullins and the Ragamuffin Band perform in Eugene, OR with Ashley Cleveland and Carolyn Arends as part of the Brothers Keeper Tour. Rich Mullins and the Ragamuffin Band perform in Seattle, WA with Ashley Cleveland and Carolyn Arends as part of the Brothers Keeper Tour. Rich Mullins and the Ragamuffin Band perform in Portland, OR with Ashley Cleveland and Carolyn Arends as part of the Brothers Keeper Tour. Rich Mullins and the Ragamuffin Band perform at Walla Walla College in College Place, WA with Ashley Cleveland and Carolyn Arends as part of the Brothers Keeper Tour. Rich Mullins and the Ragamuffin Band perform in Idaho Falls, ID with Ashley Cleveland and Carolyn Arends as part of the Brothers Keeper Tour. 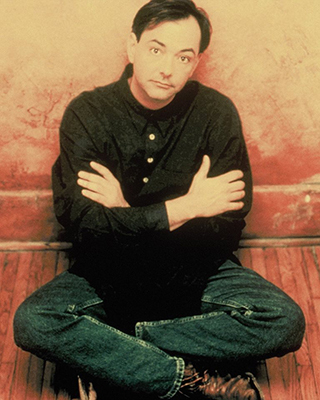 Rich Mullins and the Ragamuffin Band perform in Salt Lake City, Utah with Ashley Cleveland and Carolyn Arends as part of the Brothers Keeper Tour. Rich Mullins and the Ragamuffin Band perform in Grand Junction with Ashley Cleveland and Carolyn Arends as part of the Brothers Keeper Tour. Rich Mullins and the Ragamuffin Band perform in Colorado Springs, CO with Ashley Cleveland and Carolyn Arends as part of the Brothers Keeper Tour. Rich Mullins and the Ragamuffin Band perform in denver, CO with Ashley Cleveland and Carolyn Arends as part of the Brothers Keeper Tour. Carolyn was not able to perform due to flu-like symptoms. Rich Mullins and the Ragamuffin Band perform in Scottsbluff, NE with Ashley Cleveland and Carolyn Arends as part of the Brothers Keeper Tour. Rich Mullins and the Ragamuffin Band perform in Grand Island, NE with Ashley Cleveland and Carolyn Arends as part of the Brothers Keeper Tour. Rich Mullins and the Ragamuffin Band perform at the Stephens Auditorium in Ames, IA with Ashley Cleveland and Carolyn Arends as part of the Brothers Keeper Tour. Rich Mullins and the Ragamuffin Band perform in Peoria, IL with Ashley Cleveland and Carolyn Arends as part of the Brothers Keeper Tour. Rich Mullins and the Ragamuffin Band perform at the Rosemont Horizon in Chicago, IL with Ashley Cleveland and Carolyn Arends as part of the Brothers Keeper Tour. Following the concert, friends and band members hold a party for Rich's 40th birthday. Rich Mullins and the Ragamuffin Band perform in Fort Wayne, IN with Ashley Cleveland and Carolyn Arends as part of the Brothers Keeper Tour. Rick Elias takes some time away from the Brothers Keeper tour to work on Tom Hanks' film That Thing You Do! Rick had a couple of songs end up in the film's soundtrack and also makes a few brief appearances as a guitarist in the Playtone band. Rich Mullins and the Ragamuffin Band perform in Louisville, KY with Ashley Cleveland and Carolyn Arends as part of the Brothers Keeper Tour. Rich Mullins and the Ragamuffin Band perform in South Bend, IN with Ashley Cleveland and Carolyn Arends as part of the Brothers Keeper Tour. Rich Mullins and the Ragamuffin Band perform in Grand Rapids, MI with Ashley Cleveland and Carolyn Arends as part of the Brothers Keeper Tour. Rich Mullins and the Ragamuffin Band perform in Akron, OH with Ashley Cleveland and Carolyn Arends as part of the Brothers Keeper Tour. Rich Mullins and the Ragamuffin Band perform in Bloomsburg, PA with Ashley Cleveland and Carolyn Arends as part of the Brothers Keeper Tour. Rich Mullins and the Ragamuffin Band perform in Syracuse, NY at the Landmark Theatre with Ashley Cleveland and Carolyn Arends as part of the Brothers Keeper Tour. Rich Appears on the cover of CCM Magazine. Rich Mullins and the Ragamuffin Band perform in Burlington, VT with Ashley Cleveland and Carolyn Arends as part of the Brothers Keeper Tour. Rich Mullins and the Ragamuffin Band perform in New York, NY with Ashley Cleveland and Carolyn Arends as part of the Brothers Keeper Tour. Rich Mullins and the Ragamuffin Band perform in West Chester, PA with Ashley Cleveland and Carolyn Arends as part of the Brothers Keeper Tour. Rich Mullins and the Ragamuffin Band perform in Washington, DC with Ashley Cleveland and Carolyn Arends as part of the Brothers Keeper Tour. Rich Mullins and the Ragamuffin Band perform in Raleigh, NC with Ashley Cleveland and Carolyn Arends as part of the Brothers Keeper Tour. Rich Mullins and the Ragamuffin Band perform in Charlotte, NC with Ashley Cleveland and Carolyn Arends as part of the Brothers Keeper Tour. Rich Mullins and the Ragamuffin Band perform in Roanoke, VA with Ashley Cleveland and Carolyn Arends as part of the Brothers Keeper Tour. Rich Mullins and the Ragamuffin Band perform in Knoxville, TN with Ashley Cleveland and Carolyn Arends as part of the Brothers Keeper Tour. Rich Mullins and the Ragamuffin Band perform in Nashville, TN with Ashley Cleveland and Carolyn Arends as part of the Brothers Keeper Tour. Christian Activities runs a short article about the tour stopping in Nashville. "Rich Mullins Brings the Brothers Keeper Tour to Nashville"
Rich Mullins and the Ragamuffin Band perform in Bowling Green, KY with Ashley Cleveland and Carolyn Arends as part of the Brothers Keeper Tour. Rich Mullins and the Ragamuffin Band perform in Anderson, IN with Ashley Cleveland and Carolyn Arends as part of the Brothers Keeper Tour. Rich Mullins and the Ragamuffin Band perform in Detroit, MI with Ashley Cleveland and Carolyn Arends as part of the Brothers Keeper Tour. Rich Mullins and the Ragamuffin Band perform in Columbus, OH with Ashley Cleveland and Carolyn Arends as part of the Brothers Keeper Tour. 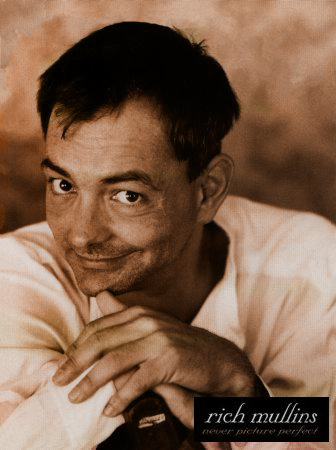 The Toledo Blade publishes an article about Rich Mullins. 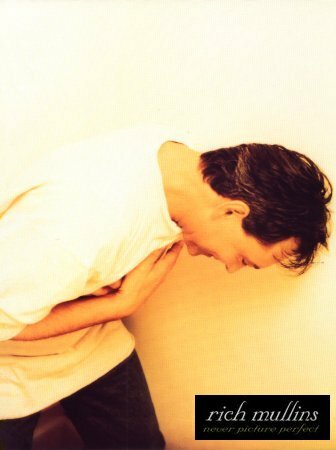 "Rich Mullins 'Cartoons' in Catchy Tunes"
Rich Mullins and the Ragamuffin Band perform in Toledo, OH with Ashley Cleveland and Carolyn Arends as part of the Brothers Keeper Tour. Rich Mullins and the Ragamuffin Band perform in Marion, IL with Ashley Cleveland and Carolyn Arends as part of the Brothers Keeper Tour. Rich Mullins and the Ragamuffin Band perform in Springfield, IL with Ashley Cleveland and Carolyn Arends as part of the Brothers Keeper Tour. Rich Mullins and the Ragamuffin Band perform in St. Louis, MO at the American Theater with Ashley Cleveland and Carolyn Arends as part of the Brothers Keeper Tour. Rich Mullins and the Ragamuffin Band perform at Memorial Hall in Kansas City, KS with Ashley Cleveland and Carolyn Arends as part of the Brothers Keeper Tour. Rich Mullins and the Ragamuffin Band perform in Little Rock, AR with Ashley Cleveland and Carolyn Arends as part of the Brothers Keeper Tour. Rich Mullins and the Ragamuffin Band perform in Jonesboro, AR with Ashley Cleveland and Carolyn Arends as part of the Brothers Keeper Tour. Rich Mullins and the Ragamuffin Band perform in Fort Smith, AR with Ashley Cleveland and Carolyn Arends as part of the Brothers Keeper Tour. CCM Magazine reviews Rich's October 14 performance in Colorado Springs, CO.
Rich Mullins and the Ragamuffin Band perform in Tulsa, OK with Ashley Cleveland and Carolyn Arends as part of the Brothers Keeper Tour. Rich Mullins and the Ragamuffin Band perform in Springfield, MO with Ashley Cleveland and Carolyn Arends as part of the Brothers Keeper Tour. Rich Mullins performs in Mulvane, KS for "Christmas Under The Stars". The show began with "Praise to the Lord." Other songs included "78 Eatonwood Green" (which he jokingly renamed "Going to Bethlehem" for the night), "Here In America," "Boy Like Me/Man Like You," "Jacob and 2 Women," "The Other Side of the World," "Sometimes By Step," and "O Come Let Us Adore Him."